Passed away suddenly on April 10th, in Ottawa, ON, aged 99. Son of the late Wilmot and Ruby Christie of Digby, N.S., he is pre-deceased by his loving wife, Maxine (Bailey), survived by children Peter (Susan Fitzgerald), Andrew (Maria) of Ottawa and Susan (Robert) Boulerice of Aurora, ON. He leaves much loved grandchildren Kim (James Cameron) and David of Ottawa; Kieran (Vanessa Crooker) McManus of Toronto; Jeffrey (Jenn) McManus of London, ON. and Kyle & Ryan of Ottawa. Also, ten great-grandchildren: Asha and Malcolm Cameron, Emily, Lauren, Kaitlin, Elise and Will McManus, Ayva, Kassia & London Christie, as well as his only sister Dorothy (Jack) O’Connor of Toronto, ex-daughter-in-law Debbie (Rick) Nystedt of Sault Ste. Marie, and a number of nieces of nephews. 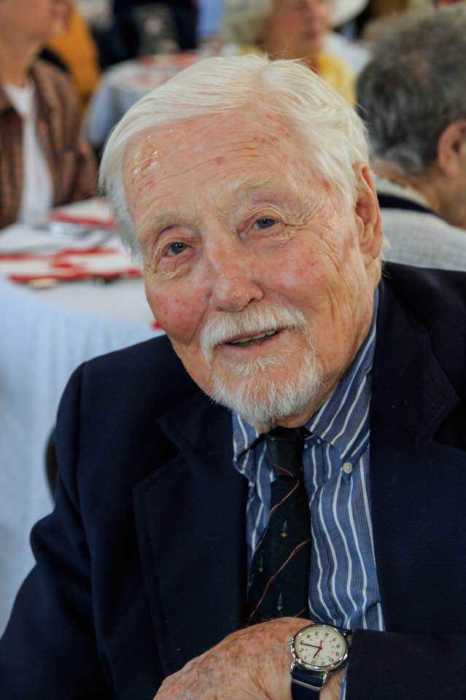 Born in 1919 in Calais, Maine, USA and raised in Digby, NS, he went off to sea in the merchant marine in 1936 until joining the Canadian Navy in 1941, serving in several ships in the Atlantic and in Korea (1950-51). He was much involved with ship system design and construction, particularly the aircraft carrier Bonaventure and ‘O’ Class submarines in the UK, and went on to positions of increasing responsibility in that field. In the latter 60’s he was in command of HMC Dockyard Halifax and CF Base Halifax, later became Chief of Engineering for the Armed Forces in Defence Headquarters, Ottawa, and then Associate ADM (Materiel). He retired from the RCN in1974 as Rear Admiral and then served as Director General of the Shipbuilding Branch of DSS Ottawa for five years. After leaving Government service, he was president, successively, of three companies: Versatile Systems Engineering Inc., YARD Inc. and VSEL Defence Systems Canada, all in Ottawa. He was a graduate of Dalhousie University and the NS Technical College in Halifax and the Imperial Defence College of London, England. He was an avid sailor all his life and a past Commodore of the Britannia Yacht Club. He chaired area chapters of the Society of Naval Architects and Marine Engineers, the Engineering Institute of Canada and the Naval Officers Association of Canada. A private interment at Beechwood Cemetery will be held at a later date.